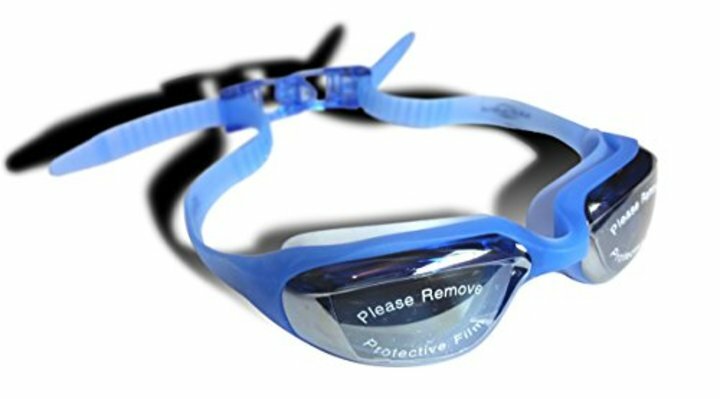 Multisilica Sungazer Swimming Goggles with Protective Case. New Fast-Adjust Back Clip Design - Excellent ALL PURPOSE goggles - A great deal more from your goggles and a MONEY BACK GUARANTEE! Seller Comments - Thanks for taking part! As always please remember to be as detailed as possible in your review as it really helps us out. Images and video uploads are a fantastic way to beef up your review as well as asking other amazon viewers to 'say yes' to the review if they found it helpful. Also as per Amazon's requirements please do not forget to state that you received the product at a discount for this honest/unbiased view (however you would normally word it). Thanks so much again and we hope you find our product truly unique and useful! SUPERSOFT SILICONE FRAME. If you're sick of the painful marks left behind by regular goggles prepare to be amazed. Ultra soft yet durable these offer GREAT COMFORT and LAST A LIFETIME - an unparalleled combination of strength and softness you'll be hard pressed to snap these! NEVER STRUGGLE AGAIN - no tangling, pulling or pinching hair with these goggles! Simply clip the straps together behind your head and never worry about where your hair ends up - it won't be in your eyes or wrapped around your straps that's for sure! NEW FAST-ADJUST design makes on-the-go adjustments EASIER THAN EVER. Get more from your goggles with previously unseen capabilities! Go from casually wearing your goggles loosely around your neck (the back clip holds together even without the straps pulled tight!) to a snug watertight fit like never before! Lenses tempered with ANTI-FOG treatment for ULTIMATE VISIBILITY. Be more aware of your surroundings whatever your purpose - getting the edge competing at events, enjoying the wonderful underwater worlds of oceans and open waters, swimming for leisure etc! FREE PROTECTIVE CASE. This sturdy and secure case provides the best safekeeping for your goggles. It has been ergonomically designed to be easy to hold yet retains an easily manageable shape to be easily thrown into a bag with the rest of your swimming kit. What more could you ask for from your goggles! ?